If you want to play Android games on a PC, you are in luck because there are lots of Android emulators available on the internet. All of these emulators are free to download and you can play all the games using mouse and keyboard. There are a bunch of these emulators that come with lots of unique features. So to help you choose the best, here is a list of top five Android emulators available to download. 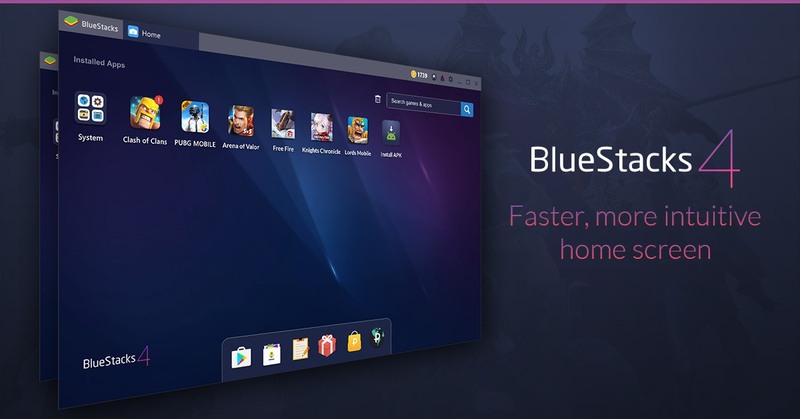 BlueStacks is the most popular and one of the first Android emulators for mobile. It has been evolved a lot, and it now includes lots of new features whether in gaming or any other important stuff. The BlueStacks emulator is faster, and according to the claims, BlueStacks 4 is almost six times faster than the Samsung Galaxy S9+. A tabbed user interface to know which apps are running. An improved and easy to use keymapping. Multiple Google accounts can be used in the same instance. It has its own store and reward system when you play games on it. If you want a more of a more straightforward and desktop-like experience and not a clutter-ish themed Android experience, then use Remix OS Player. The Remix OS Player will give you a clean and simple look with a desktop experience. It comes with Google Apps and its own App store to download the apps from. You can use the multiwindow feature just like in Windows with all the shortcut keys. It comes with keymapping toolkit to personalize your gaming controls. Multi-window support let you enjoy videos while messaging or writing any document. 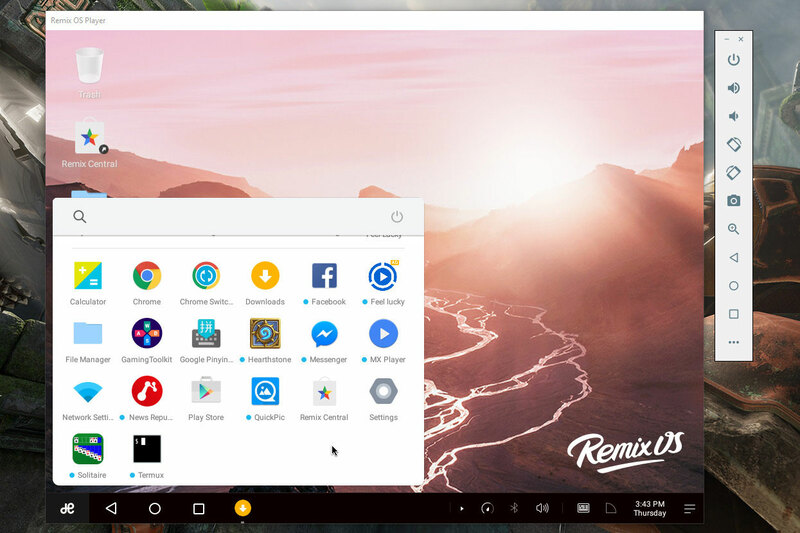 Remix OS can also be installed as another OS on a Windows PC. The NOX Player is mainly made for playing mobile games on PC. 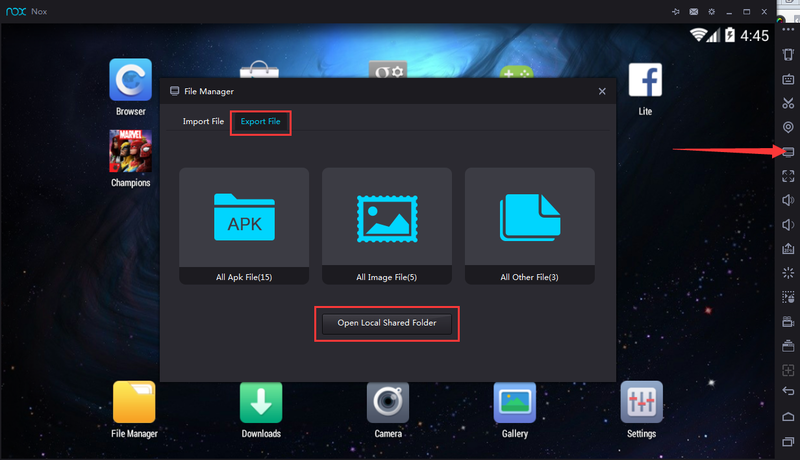 Unlike other emulators, NOX Player is based on Android KitKat. There are newer Android version emulators available, so if you need latest Android version, then it is not for you. It also comes with custom keymapping feature so you can play games efficiently using your keyboard. It runs fast and smooth; it comes with an almost stock Android interface with a bit theming done. Keyboard shortcuts are available so you can use the same shortcuts here. It supports gamepad, so if you are a gamepad lover, then gaming on NOX Player will be a breeze. 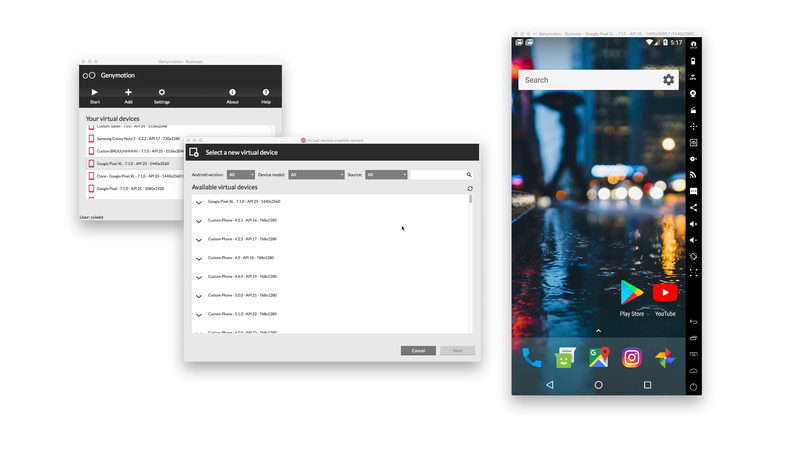 Genymotion is made for the developers rather than the casual Android emulator users. And it comes with all Android versions to test your app on; you will be able to emulate on Android 4.4 Kit Kat all the way up to Android 7.0 Nougat. It also supports Open GL as well as hardware acceleration to provide faster speed. You can create a virtual Android machine with different screen size and orientation to test your app. It comes with a premium version to boost your Android app development with different new tools. You can install the Google Apps services with one click if you want them to run your app. Andy is another Android emulator with a different approach. It will let you use most of your smartphone features without making you pick up your phone. And of course you can game on this emulator too but to control the game, you have to use your smartphone as a controller, how cool! You can use your phone as a remote control to play games on your PC. Run almost every messaging app such as Snapchat, Viber, WhatsApp on your PC. Cloud storage is available for your apps, so you don’t have to run out of storage on your PC. Using emulators is a good option to game on so you can leave those small screens for some time. These are also helpful if you work on a laptop or PC for a long time and miss important notifications. If you know about any other Android emulator which you used and should be on this list then tell us in the comments. Amit, Remix OS has been officially DEAD for 2yrs. Kaput. I don’t think that this article ia really about playing pubg because pubg mobile has it’s own official emulator and it works very well.